English word; photo by melanie cook on Flickr (noncommercial use permitted with attribution / no derivative works). 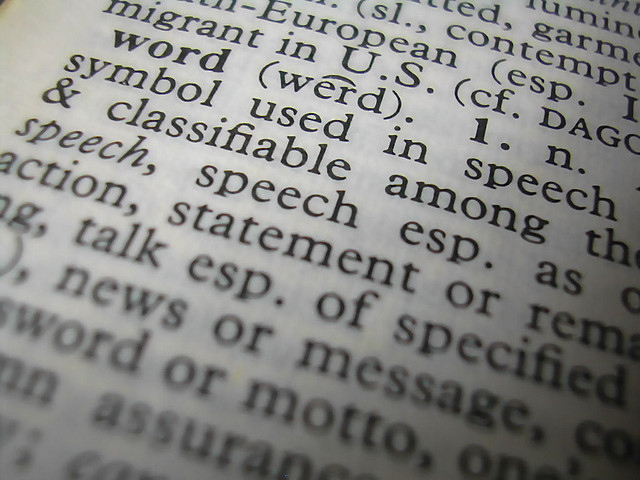 18% of the United States population over the age of five speaks a language other than English at home (including native American languages, Spanish, German, French, Tagalog, Italian, Chinese, Polish, Korean, Russian, Swedish, Norwegian, Danish, and American sign language). 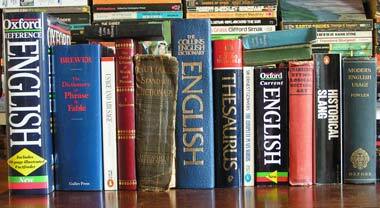 English language dictionaries and references; photo by John Keogh on Flickr (noncommercial use permitted with attribution).